Colors are available as a set or individually. View the Jeff Gogue Palette. 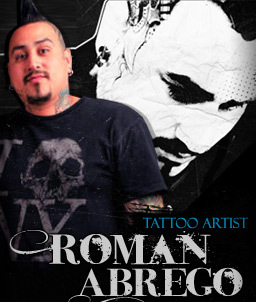 Fusion Tattoo Ink: The Roman Abrego Palette. 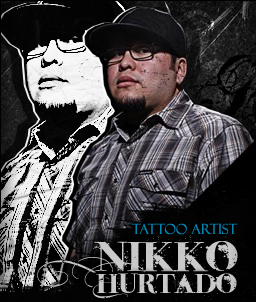 Fusion Tattoo Ink: The Nikko Hurtado Palette. 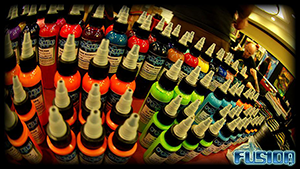 The Nikko Hurtado Signature Series includes 8 bottles in the following colors: Blush, Wet Sand, Red Velvet, Cold Steel, Stone Grey, Artic Blue, Liquid Flesh and Bone. Fusion Tattoo Ink: The Juan Salgado Palette. Take a look at this video featuring some of Juan Salgado tattoo work.. The Juan Salgado Signature Palette contains 8 bottles available as a set or individually. View the Juan Salgado Palette. 8 Pack Set of The Nikko Hurtado Palette Signature Series. Colours: Liquid Flesh, Blush, Stone Grey, Artic Blue, Wet Sand, Cold Steel, Red Velvert, Bone. 8 Pack Set of The Jeff Gogue Palette Signature Series. Colours: Midnight, Forest Green, GI Green, Blackberry Porter, Chinook, Morning Shade, Lotus, Super Red.